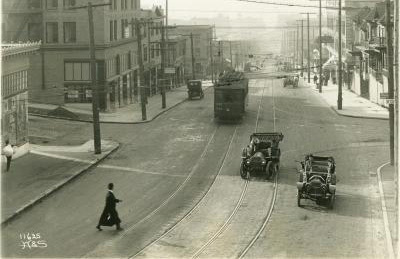 Vehicles on Pike Street in Seattle in 1902, prior to state vehicle licensing requirements. Photo courtesy of Washington State Digital Archives. The Washington State Legislature established the Motor Vehicle License Division under the Office of the Secretary of State in 1905. 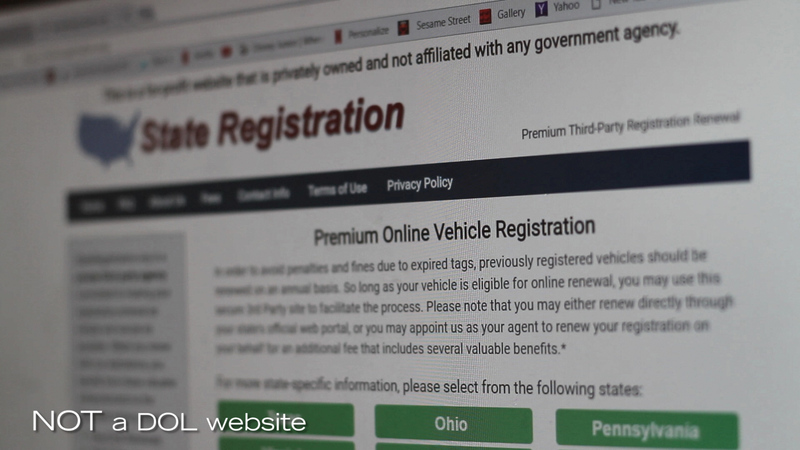 This new division was responsible for registering and issuing vehicle license numbers to the state’s growing number of personal vehicles. The division issued license numbers—not license plates. The vehicle owner was responsible for creating their own license plate out of wood or leather. The license number also could be painted directly on the front and rear of the vehicle. At this time the licensing fee for a vehicle was $2, and all vehicle licenses expired on the same day—May 31st. If a vehicle owner failed to renew their registration before June 1, their license number would be assigned to someone else and they would have to make a new set of plates or repaint them on their vehicle. A total of 763 licenses were issued in 1905. The first of these was issued to S. A. Perkins of Tacoma on May 2nd, for a 30 horsepower Pope-Toledo touring car.